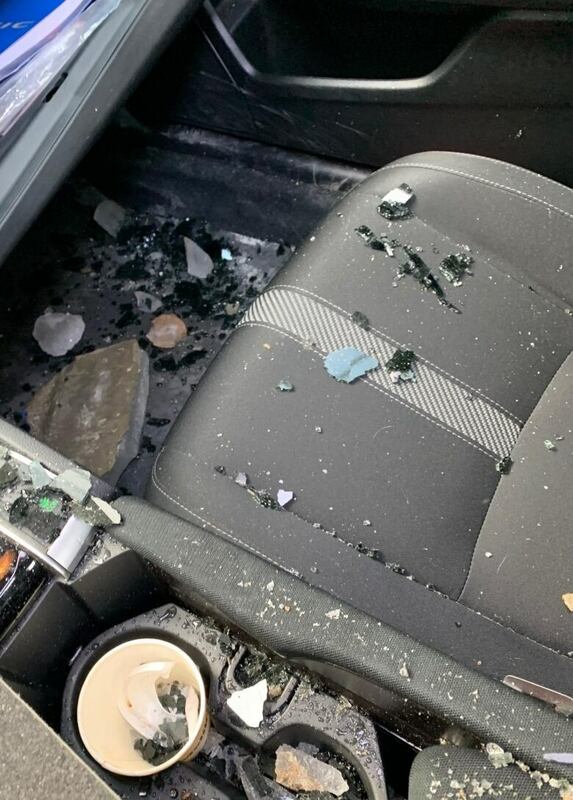 Kristine Bernard was riding in the passenger seat on her way to work in Griffintown last Friday when a chunk of ice crashed through the closed sunroof and hit her on the head. It appears to have fallen 15 storeys from a building under construction. 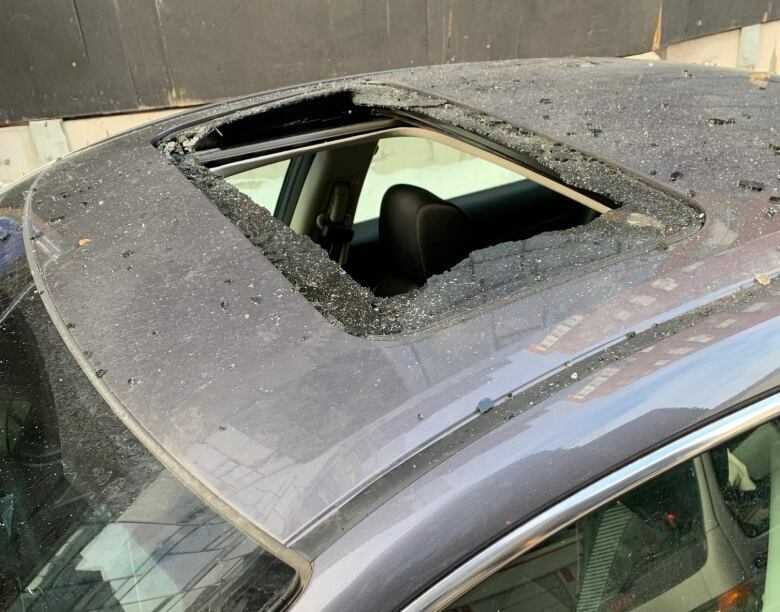 Montrealer Kristine Bernard was riding in the passenger seat on her way to work in Griffintown last Friday when a chunk of ice crashed through the closed sunroof and hit her on the head. 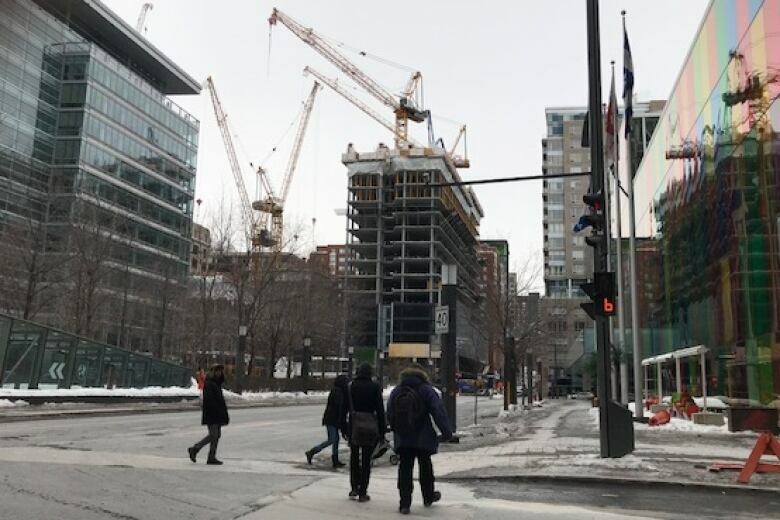 The couple was travelling south on Bleury Street near Viger Street, past a tower under construction. "There was glass everywhere," said Bernard. "I was covered in glass and debris. I was in shock for a good 20 to 25 minutes." Her boyfriend, Myles Carter, who'd been driving, saw that her forehead was bleeding. "I yelled at some innocent bystander to please call the police immediately," Bernard said. "Paramedics came, and I took an ambulance to the hospital." She was treated for a possible concussion and given a tetanus shot, but five days after the incident, she is still shaken by what happened. 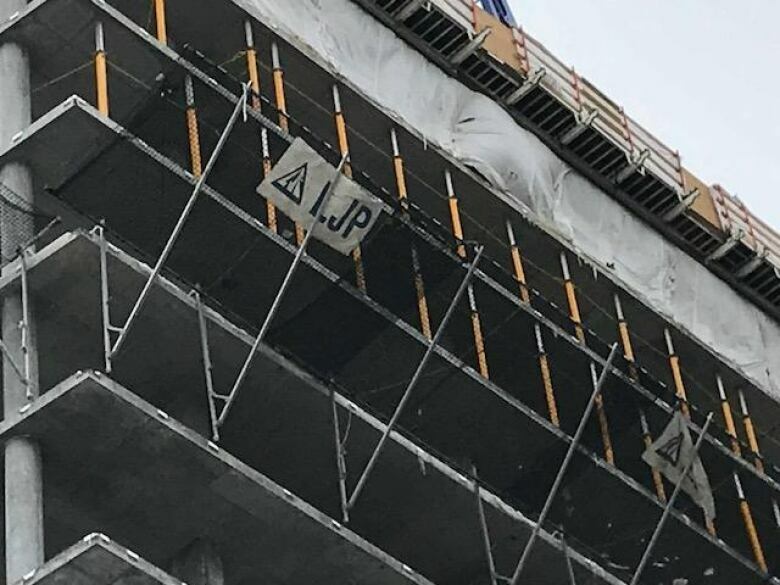 At the time of the incident, contractors were removing the accumulated ice and snow from the 15th floor of the building under construction, said SPVM spokesperson, Const. Jean-Pierre Brabant. Although a net was installed on the side of the building to prevent blocks from falling, Brabant said, it appears the chunk of ice that hit Bernard had bounced off the net. Police who came to the scene advised the ice- and snow-removal contractor, as well as the project superintendent, to improve safety measures, such as closing traffic on the street below while they were carrying out their work. No charges were laid, however. The chunk of ice that crashed through the sunroof of Bernard and Carter's car is now in their freezer. It weighs in at 1.27 kilograms. Although she wasn't seriously hurt, Bernard said she's considering legal action because she believes the incident was caused by negligence. Her lawyer, Jamie Benizri, says his jaw dropped when he heard Carter and Bernard's story. "They just wanted to go to work that day," said Benizri. Instead, he said, what must have felt like a meteor struck them. He said public safety is at stake. Benizri said he is working with the couple to look at the damage, to talk to possible witnesses and gather possible video footage. He has a lot of unanswered questions, including whether the security net was properly installed and whether the street was supposed to have been closed to traffic. Bernard said there was no indication that the street was closed. There were other vehicles on the road, including parked cars. Given the strong winds in Montreal during the last couple weeks, Benizri said this incident should serve as an example of what can happen. 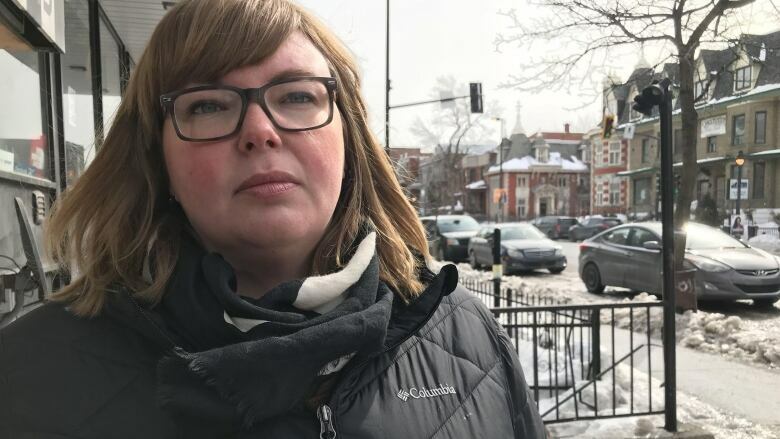 Neither the developer nor the project manager for the $200-million real estate project called Humaniti Montreal responded to a request for comment from CBC. Days after the incident, Bernard says she is still not feeling great. "Being in a car, especially with a taxi driver, an Uber driver, makes me very, very nervous." Mia Anhoury is a journalist with CBC Montreal.